I finished another quilt last night. I had built up quite a stash of quilts I wanted to make, so I decided I should start making them. I still have 2 quilt tops that need to be finished and 2 more I have the fabric for, but haven't started on. This was made using the Reunion line by Sweetwater for Moda. I fell in love with it as soon as I saw it online before it was released. I ended up using a groupon to purchase the jelly roll at a quilt shop in Utah. 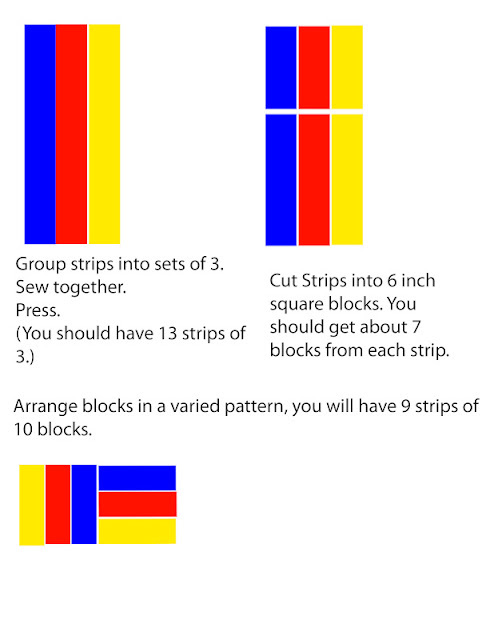 I made this small cheat sheet, in case you want to make one of your own using a jelly roll. I prefer using precut fabrics, it seriously cuts the time on making a quilt in half. Plus, cutting is my least favorite part. if we ever get one in our bedroom. I quilted it with a loose diagonal squiggly line, but I love how wrinkly it turned out. 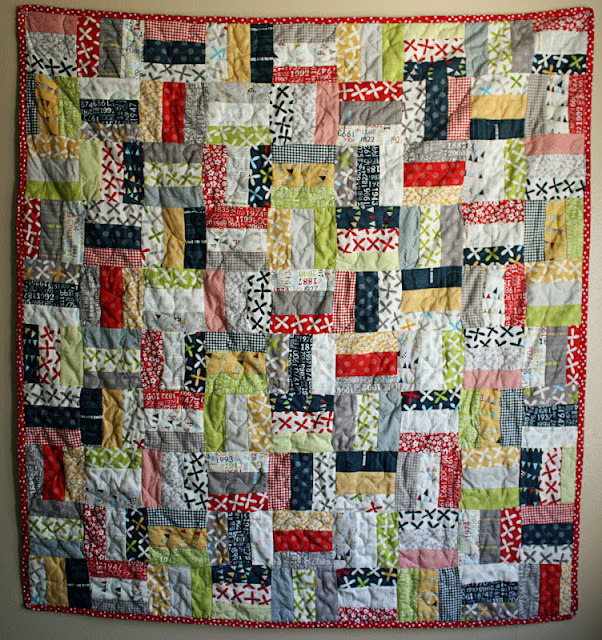 If you want to quilt but are not sure where to start, just go for it. 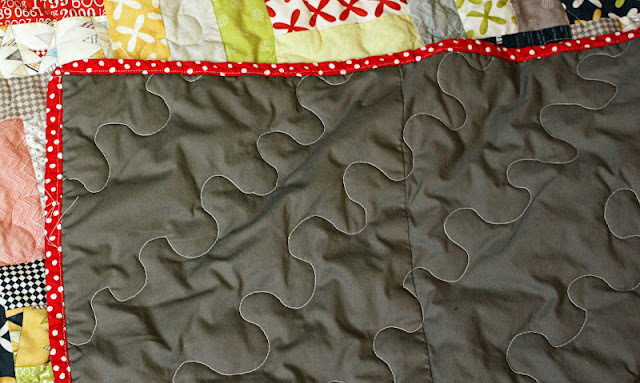 If you can stitch a semi-straight line, you can make a quilt. My favorite resource for quilting videos is Missouri Star Quilt Co. They have the best, most comprehensive collection of videos that I have found. The construction on my craft room is *almost* finished. I'm looking forward to having that space back again.